Heel pain can be a result of many different things. Typically, you experience discomfort in the back of, or beneath, the heel. Although it is not always linked to serious illness, it can be unhealthy, uncomfortable and interfere with day-to-day life, keeping you from doing what you love. Just as each body is unique, those who suffer from this condition do so with different symptoms and causes. What’s the cause? Who’s at risk? So, what exactly makes our heels hurt, and how do you know if you’re at risk? Well, there are many reasons and causes that can range from injuries, disease, or simply the aging process. Certain chronic conditions, like rheumatoid arthritis and osteoarthritis can cause severe inflammation in your feet and heels, resulting in throbbing, swelling, and other aggravations. Fibromyalgia may also contribute to pain. Those with diabetes should be vigilant in taking care of their heels, as they are at increased risk of experiencing injury or infection in the region. But those who suffer from prolonged medical illnesses are not alone in their suffering. Athletes also commonly complain of heel problems. This is because of the pressure they put on the area with training, conditioning, and competition. Whether they experience a sudden injury to their heel, or they wear it down with their lifestyle, even those with an overall healthy body are susceptible. This is especially true with those who participate in activities that place heavy impact on the feet and ankles. 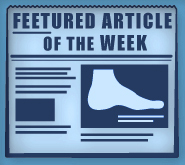 Runners, for example, are the most likely to develop a common heel pain condition known as plantar fasciitis. This occurs when the tissue connecting your toes to your heel bone becomes inflamed. If you experience discomfort in your heel, there are several ways to achieve relief. These can range from at-home remedies and over-the-counter treatments to prescriptions and, in some cases, surgery. The first route to recovery is to avoid activities and situations that trigger your heel pain. Alternate between high and low impact exercises, especially if you participate in repetitive sports that put strain on your heel. For example, if you normally jog, try a spinning class instead. If your work environment involves standing for extended hours, be sure to take appropriate breaks to rest your feet. When you get home, try relaxing in a seated position with your legs elevated to counteract the weight they carried throughout the day. Cinderella knew the difference a shoe could make, and now you do too! Make sure to pick footwear that is appropriate for the activity you’re doing. If you’re running, make sure your heels and arches have the necessary support. Avoid wearing thin-soled or ill-fitting shoes. These put you at increased risk for conditions that result in heel pain. If you’d like, you might also try store-bought sole inserts. These often provide additional comfort to shoes. If at any time your heel pain becomes overwhelming, consider contacting a professional for advice. Dr. Michael Stein and Zeindelin Ahmad, DPM can answer your questions and offer support and treatment. Visit them at Foot Doctor of the East Bay in San Leandro, Pleasanton, or Los Gatos CA.